Oh look. It’s that guy with the neat formatting! And he’s joining Ludum Dare for the 12th time. Well, it’s been a while. 4 years and 2 days ago I started my first Ludum Dare with Game Maker. I had fun, I was 13 and, of course, I didn’t finish. But that doesn’t matter. It sparked something in me. The discovery that programming is fun. Since then I’ve gone on to participate in over 30 game jams, host 4 myself, start a game jam management system that I might actually finish at some point, got a job as web developer at a cool company and in general had lots of success. But that’s another story, that I’m sparing for a keynote, that I want to do for LD32. Go nag PoV if you want to hear it. Sadly, but also luckily, I’m terribly busy helping with another game jam on the side, so we’ll see how much time I can allocate to this. See ya all during the compo! I hope you make some great games! I’m a bit late with my post, but I’m in too, as always since LD18. This time I’ll be on a run to Vienna, though. We’ll see how it turns out. Anyhow! Tools! Library: Phaser or PyGame or nothing. Help me by submitting a picture of your game! some of you may know, that I’m currently working on a project called “Game Jam Management System”. As the name implies it’s supposed to make hosting game jams simple and accessible to everyone! For the website I’ll create for it, I’ll need screenshots of game jam games to use in the head slider. So if you want to have your game jam game shown (including credits, i.e. mention of name and link to website) go here and submit a screenshot! Ideally your screenshot should have a width of 900px or more. The height doesn’t matter much. Folis’ n-th “I’m in” post! Alright, anything else? Oh well. Good luck to everyone, especially the new people! First off, yes I know that LD11’s theme was ‘Minimalist’, whatever. I actually like the theme, because it fits my style of LD games. Which is probably not a good sign, though. Anyways, I’m still failing in the idea department. I totally forgot to write a “I’m in”-post! Music: Will be decided when needed. So, yeah. Can’t wait to start my 8th LD! This is gonna be fun! For all the new guys! Are you new to Ludum Dare? No plan how to start out? Worried about failing? Sol_HSA’s famous LD Survival guide! Folis’ inofficial guide for newbies! Also: Don’t get overly nervous, just because this is your first compo/jam, just try to prepare as well as you can, and enjoy the experience. Everyone started from zero. I was at your position too 8 compos ago! 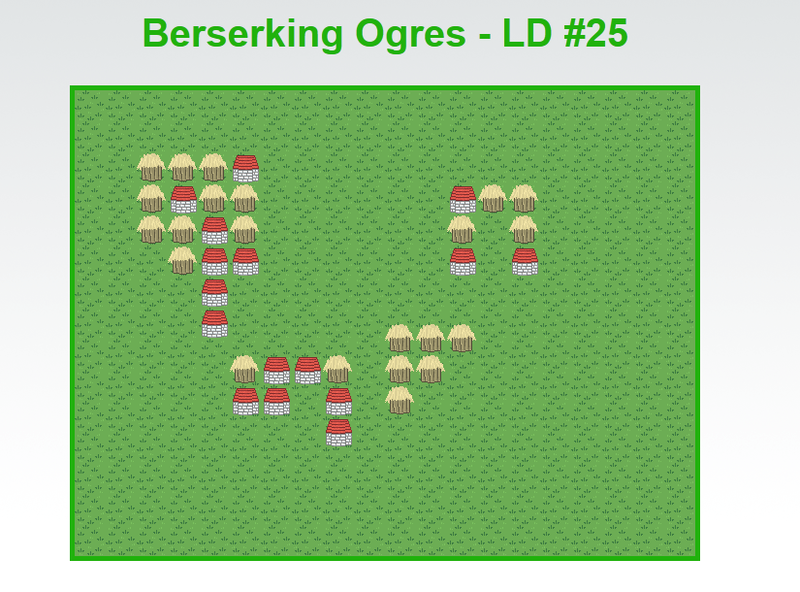 And I made my first game during a LD, so that works too! Just got into LD? Want more game jam madness? Read here! This post is exactly what it says on the tin! Good day, fellow Ludum Darees! Today I had the idea for yet another game jam! The New-Year Game Jam! There will be no limitations on who can enter, and what you can enter with! Just make a game for the new year, and have fun while doing so! So, if you enjoyed LD and want some more game jam madness: JOIN ME! If you are entering the 1GAM thing, you can finish your first game on day 1! Be sure to check the website daily to keep up-to-date! You remember when I said that I was out? Yeah, of course you do..
To all the people who’ve done a game: Great! To all first-timers who’ve done a game: You. are. awesome. Yes. Folis is out. I only have ~22 minutes left until I’m away for the rest of the time. Not gonna make a game in that time, even though I already made a game in “0” hours. No, tbh: I didn’t like the theme from the beginning. All the concepts I had were either overly-complicated or no fun at all. That didn’t work out. I’ll write a longer post-mortem tomorrow. I’mma go take a shower now! Yes, kinda. The story behind this is, that I either need a VERY limited timeframe (see my LD24 game. ), or I need to restart mid-compo (See the rest of my games). If neither of these things are there, you can bet 200$ that I won’t finish. Anyways. Back to brainstorming. Yeehaw. Serious random generation and stuff! Aren’t those tasty-looking Krapfen standing on my tablet in front of my old HDD? 38 queries executed in 0.119 seconds.